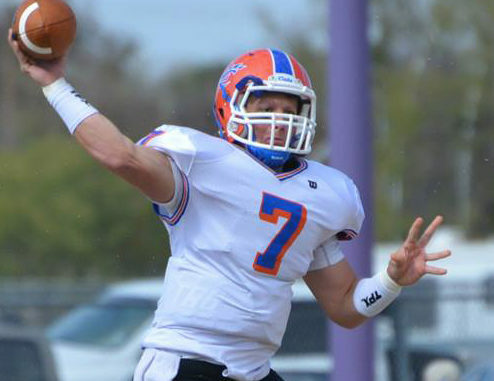 Former Hahnville quarterback Easton Melancon put on quite a show in Louisiana College’s season debut. Melancon, a sophomore, scored five touchdowns in his team’s 49-42 comeback victory over Huntingdon College, including a touchdown pass with just eight seconds left in the game that secured the win. Melancon connected on 25 of his 43 passes for 363 yards. He threw three touchdown passes and ran for two more after rushing for 37 yards. After his performance, Melancon was named the offensive player of the week for the American Southwest Conference.